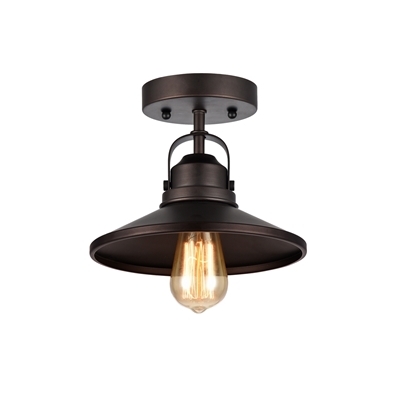 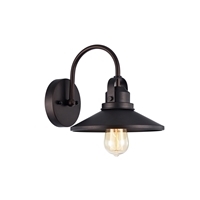 This 1-light semi-flush mount fixture features an oil rubbed bronze finish that will complement many urban, loft, industrial and transitional decors. The matching metal shade adds interest and will create a warm ambiance to any space. 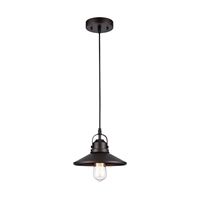 One (1) 60 watt vintage Edison bulb included.